The quartet's 2014 Frankly Music appearance was impressive. Expect nothing less. Frankly Music succeeds as a series because local world-class violinist Frank Almond selects friends from Milwaukee and beyond to perform great chamber music with him. That they consistently offer a great concert experience with little rehearsal, attests to Almond’s choice of friends. This Monday, the series will return to the traditional model for great chamber music: a long-established ensemble whose experience with each other informs the music and refines the art. Almond has invited the Miró Quartet, in residence at the University of Texas at Austin, to take the stage next Monday evening. This is an encore performance. 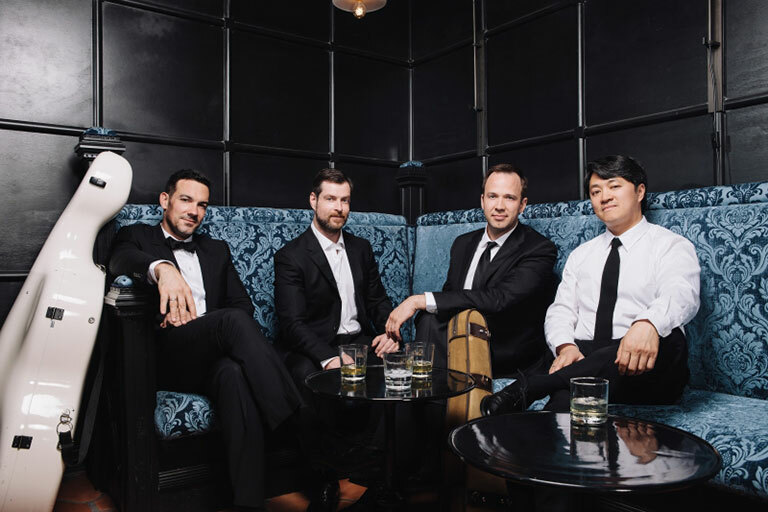 The Miró Quartet was well received in an appearance in the Frankly Music series in 2014. The program selected for Milwaukee is also ambitious – three substantial quartets by Joseph Haydn, Johannes Brahms and Bela Bartók. Brahm’s was never one to listen to the aphorism, “the perfect is the enemy of the good.” He threw away many more compositions than he shared with history. His String Quartet in C Minor, Op. 51, No. 1 stands as the first of three perfect quartets. It has been claimed he destroyed 20 quartets before releasing the two Op. 51 quartets. Bartók’s String Quartet No. 4, Sz. 91 is widely acknowledged as his best. The five movement quartet takes a perfectly symmetrical arch form, pairing the first and fifth, second and fourth movements. A simple motif of three rising and three falling notes serve as a cell that inform extensive development of the first movement. The central third movement contains a moment of “night music” – bird songs and other forest sounds informed by a traditional Hungarian melodic style. A dramatic fourth movement is entirely pizzicato – featuring strings pulled back so hard that they snap against the fingerboard. The final movement returns to aggressive dynamics that gradually unravels the complex variations to return to the simple motif which began the quartet. This ambitious concert program seems designed to impress. If their 2014 appearance is an indication, that is exactly what to expect. Monday’s April 10 concert will be held at 7:00 p.m. at St. Paul’s Episcopal Church, 914 E. Knapp St. in downtown Milwaukee. Tickets may be purchased on-line or at the door – $30, general seating and $10 student. Come early for the best seats and stay late for the creative Frankly Music reception after the concert. The Frankly Music series returns to the usual formula in the last concert of the season on May 15. Cellist Robert DeMaine and pianist Adam Neiman will join Frank Almond for music from Czechoslovakia – featuring Martinū, Janácek and Dvorák. That concert will be held at Wisconsin Lutheran College.